Good morning. You may have noticed that everything is on fire. The clue has been all the headlines like "CONSTITUTIONAL CRISIS" and "CONTEMPT OF PARLIAMENT" and possibly "UTTER SHITSHOW", all of which are deeply at odds with this image of prime minister Theresa May, winsomely staring at a Christmas tree. You see, things haven't been going well at all for her, or her government. What follows is an explanation of what has happened, and whether it matters. One of the reasons why normal people who aren't political obsessives are having such a hard time following Brexit is that there's a lot of news — but a lot of the time it's about things that may or may not happen, or things that definitely will happen but not for a long time, or even worse, are just someone's opinion about what might happen — and actually when you really boil it down, nothing has happened. Yesterday, however, was different. Yesterday, some things definitely ~did~ happen. Let's start with the one that caused the most noise. 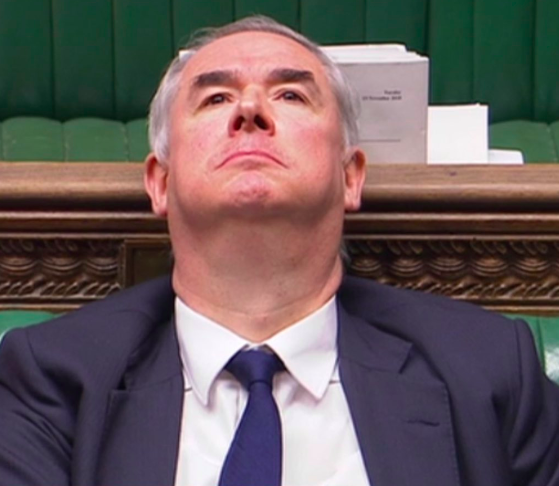 Here's a man called Geoffrey Cox, seen here with an expression on his face that suggests someone's just run over his cat. And in political terms, they have. Cox, he of the lovely Mufasa-sounding voice, is the attorney general: It's his job to give the government legal advice on whatever policies it chooses to pursue. Labour decided that his advice over the Brexit deal Theresa May recently struck with Brussels should have been published, and used a "humble address" vote to force the government to make it public. Why does this advice matter? Because in a few days MPs will be forced to vote on the deal — and some believe it is not as clear-cut as May says, and that above all the backstop arrangement (explainer here) could permanently lock the UK into close ties with the EU and limit our ability to sign trade deals. Well, the government lost that vote, but it still refused to publish the advice. On Monday, Cox announced that he would only be releasing a summary, later saying he was "caught in a clash of constitutional principles". What he meant was: It might be in the public interest for such legal advice to be seen — but it might not be in the national interest, if releasing the advice is harmful to Britain. All of which boils down to Labour claiming that May's government was in "contempt of parliament", an ancient way of saying "you have to do what we say". This all had terribly exciting implications, especially for fans of brutal punishments in British political history. The government tried to use a vote to delay proceedings. It lost the vote. This meant MPs would now vote to decide if it was in contempt of parliament. And, er, this happened. Sadly, praying didn't help. The government lost that one too. Now here's the thing. The government actually lost three votes in 63 minutes yesterday. When historians try to make sense of all this, and good luck to them frankly, the ones about contempt almost certainly won't be seen to be the most important. This man is Dominic Grieve QC. He's a Tory MP and a former attorney general and it's quite possible he will one day be seen as the man who ultimately changed the course of Brexit. Now, earlier we mentioned that Theresa May has struck a deal with Brussels. Next week MPs will have to vote on it. She's been desperately trying to "sell" the deal to the country, which is why she was recently seen, for example, making a surprise and not entirely successful appearance on This Morning. 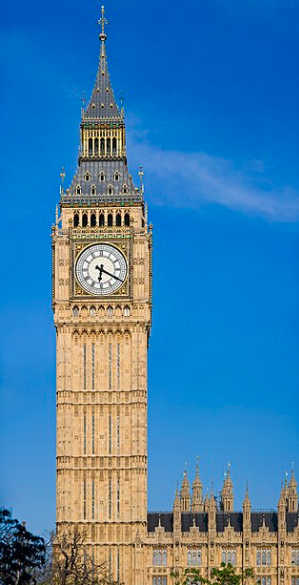 The question is: What happens in the extremely likely event that MPs don't back the deal? Well, we are basically at the bit in Infinity War where Doctor Strange looks at all the possible futures and sees a way to beat Thanos, except in this case there are more than 14 million options and there still probably isn't one that will keep everyone happy. Well, pretty much. That's what happens when people basically want the one thing that almost certainly can't happen, and even then won't produce an outcome that satisfies everyone either. What we knew was that if the government lost, it had 21 days to decide what to do next. However, Grieve tabled a motion that means what happens next isn't just in the government's hands. Instead, the Commons could vote on what the government will do. Remember how all the pro-Leave people talked about "taking back control" during the referendum? Yeah, this wasn't how they saw it going. And surprise, surprise: The government lost that vote too. The implications for this are seismic. Blimey. "If you've got a history book at home, take it out, throw it in the bin, it's worthless." What has happened is that parliament, the legislature, has seized a degree of power from the government, the executive. It means that MPs can table and vote on their own plans. Not only can Doctor Strange see all the futures, now he can have a go at making them happen. Given the makeup of parliament, it means the most likely options to get through parliament are "softer" versions of Brexit. What we know is that most MPs are strongly opposed to leaving Europe without a deal — making it less likely, but not impossible, as Grieve has said — that we leave without one. This is good news for anyone who's been worrying about those news stories that say we might have to stockpile food and medicines and could run out of Mars bars. Here's another little thing of note: On Tuesday morning, or 75 years ago in British political time, a top European legal officer announced it was his view that the UK could, if it wanted, cancel its withdrawal from the EU. All of this subtly shifts the balance — as Politico's Jack Blanchard points out, it means as far as the Brexiteers are concerned, May's deal, which they've spent the last few weeks complaining about, suddenly looks like the hardest, and therefore most acceptable, option. For their part, they say the government could just ignore the amendment. This is theoretically true but not really practicable, like a lot of things people claim when it comes to Brexit. Meanwhile, because the British political system is totally cool and normal, MPs were preparing to debate long into the night, ahead of that vote on the deal that the government almost certainly won't win. Don't panic. No10 confirms that, thanks to contempt motion lasting to 7pm and then nearly 2 hrs for business motion, *in theory* PM may not open main Brexit debate until 845pm. With 8 hrs debate guaranteed after that, MPs cd be up until 445am. The action didn't finish until after 1am. Here's Boris Johnson being told to come up with a plan, given that he doesn't like Theresa May's. There will be days of this. It’s Shrodinger's Brexit, isn’t it? We can’t leave and we can’t not leave. We're dead.